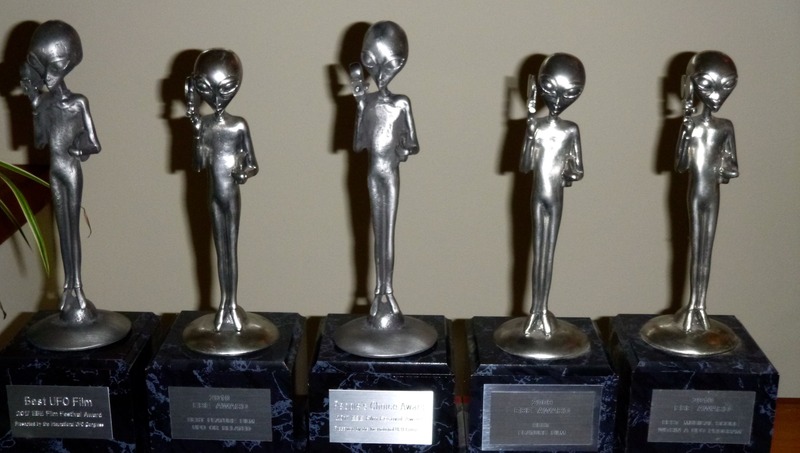 The International UFO Congress has given five awards to Patty Greer. A Boulder woman who makes films about UFOs and crop circles has been sued by a former client for bashing them with unusual barbs. Louisville-based Gaia Inc. — a streaming service that offers “consciousness-expanding” videos on yoga, spirituality, health and other topics — sued Patty Greer in Boulder County District Court on Monday, alleging defamation. Other individuals in the videos directly describe the company’s leadership as “Luciferians” and “Satanists,” according to the lawsuit. In a Wednesday interview, Greer defended herself, and said she was only making public what an anonymous group of current and former Gaia employees were telling her. “Do I feel like I’m making anything up? Not in the least,” Greer said. “I stand by what I said. What I said were not my own words. Greer also touted her work, and sent a reporter a photo of awards she received from the International UFO Congress. “I came up with a historic discovery proving that crop circles are real and not some fake thing,” she said. In the lawsuit, Gaia says it paid Greer $10,000 to distribute her films through its TV subscription service. The money was intended to be an advance, but the company says that “due to a low level of interest” by its subscribers, it never recouped the money. Gaia says it requested Greer to return a portion of the advance as a condition of terminating the distribution agreement, but that the two parties failed to agree on a deal. The company says that Greer “developed a vendetta against Gaia” due to the situation. Beginning in mid-July, Greer and other individuals appeared in several videos posted online. The first video mentioned in the lawsuit — “Gaia TV Imploding, What’s Next? Part 1” — has nearly 70,000 views on YouTube. It was uploaded July 12 by a user named Sarah Westfall, who the lawsuit says also speaks in the video. Gaia is seeking a public apology from Greer that would be posted on her website cropcirclefilms.com, as well as “not less than $1,000,000” in damages. Lester Houtz with the Denver office of Bartlit Beck Herman Palenchar & Scott is representing Gaia. 2 Comments on "UFO filmmaker who called former client ‘Luciferian’ sued for defamation"
In a Facebook post today (December 16th, 2018), Patty Greer claims the lawsuit had been dismissed this previous week. Have you heard anything about that? Can you provide an update of where this lawsuit is at? Hi David, reporter here. The lawsuit was dismissed last week, but I don’t have any further detail than that in court documents.